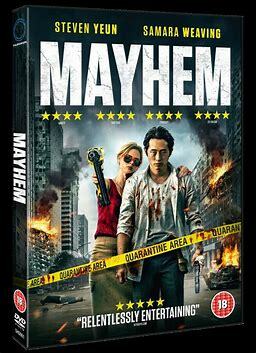 Mayhem film review. 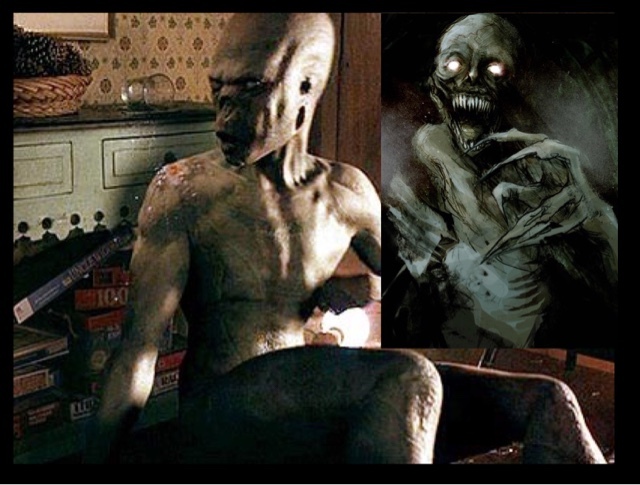 Directed by Joe Lynch. Distribution by RLJE Films. Running time 86 minutes. Sometimes the little man can stick it to the man, in this very violent take of David Vs Goliath. Mayhem a film that could've quite easily passed me by, it was only when a follower on Instagram raved about it and how good it was, as he had seen it at some horror festival. I saw it in my local supermarket for £5,00 a bargain in my opinion and I purchased it on an impulse buy, and so glad I did. 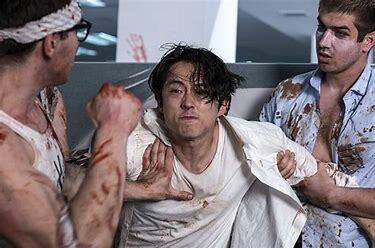 I know the comparisons are going to be Office Space meets The Belco Experiment, but this film is so much better, yes it is incredibly violent, as much so as The Belco Experiment, yet it isn't as stomach churning, we care for the two central characters in this, a modern tale of the under dogs winning in a world full of corporate greed, and massive organisations believing themselves to be above the law. When Derek a lawyer from a huge corporate law firm gets fired and actually set up from a case he didn't have, but loosely associated, so the firm could save face from a multi billion dollar contract they messed up on, and easily pin the blame on him to take the fall. At the same time this building is put under quarantine as a virus that has broken out, that people loose all inhibitions, become violent as they no longer have a filter, Derek although infected uses this as an excuse to argue his case violently to the board, to keep his job, and finally stick one to his boss, knowing that people who have had the virus before, cannot be held accountable for their actions. What we have left is a floor by floor bloody death battle until Derek can get to the penthouse room, to get to his boss and the board of governors and clear his name, and stick up for the little guy, against a huge powerhouse. 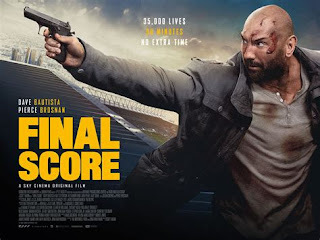 A brilliant violent, funny film with two of the best leads in Steven Yeun ( The Walking Dead) and Samara Weaving (The Babysitter) miss this amazing film at your peril as it really has to be my best and favourite film I have seen this year so far.